Sigmon & Sigmon, P.C is a general law practice which has an 70 years of experience. From Personal injury cases and divorce to business and real estate law we provide best results for every client. Lehigh Valley Pa - Lawyers Complex legal situations often arise for businesses, you can trust Sigmon & Sigmon, P.C. to represent your company for all your legal needs. At Thomas Conrad & Conrad, we represent and counsel clients in various family law matters including divorce, alimony, child custody and spousal support. Contact us today for more information! Sherr Law Group provide a Litigation Law Service. Swartz Culleton PC., is a wholly committed personal injury law firm located in Philadelphia, Pennsylvania that concentrates on safeguarding the rights of the wounded. This is why, when you select Swartz Culleton PC., to represent you, you don't employ just an attorney, but the enterprising and versatile law firm behind it. Do I have a case? Answer:	It depends. Paul Silver, B.A. ; J.D. ; LL.M. 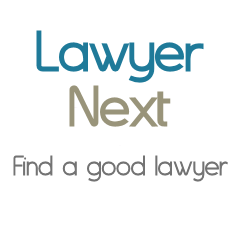 A highly rated Law Firm established in 1886. Personal Injury attorney in Philadelphia, PA, familiar with the ins and outs of personal injury claims representing individuals who have been injured in an accident. Specialties: litigation, personal injury law, slip and fall accident claim, workers' compensation, mediation, arbitration. Dailey LLP is a business litigation boutique that represents businesses and their directors, officers, partners and employees. We handles all types of business disputes, as well as shareholder and derivative litigation, accountants' liability matters, and a range of class action litigation matters. David F. Stern has concentrated his practice in the area of workers’ compensation litigation since graduating from The University of Pittsburgh School of Law and has been representing injured workers since 2004. is one of the founding partners of Pond Lehocky Stern Giordano which opened its doors in 2010. Thomas J. Giordano Jr. currently heads Disability Justice, Pond Lehocky’s Social Security disability department. Under Mr. Giordano’s leadership, the Social Security department at Pond Lehocky has grown to a nationwide practice. Mr. Giordano is honored to represent tens of thousands of disabled individuals in all 50 states. The Law Offices of Richard J. Fuschino Jr.